1/16/17 – NOW AVAILABLE ON AMAZON! 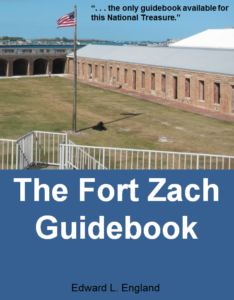 England Historical Enterprises has posted our latest book – The Fort Zach Guidebook – on AMAZON as of today. It may be ordered by going to our Publications Page and clicking on the CLICK HERE icon below the description of this new, first-ever guidebook to a true National Treasure. 12/21/16 – England Historical Enterprises is proud to announce the publication of a new, first-ever Guidebook to Fort Zachary Taylor Historic State Park. 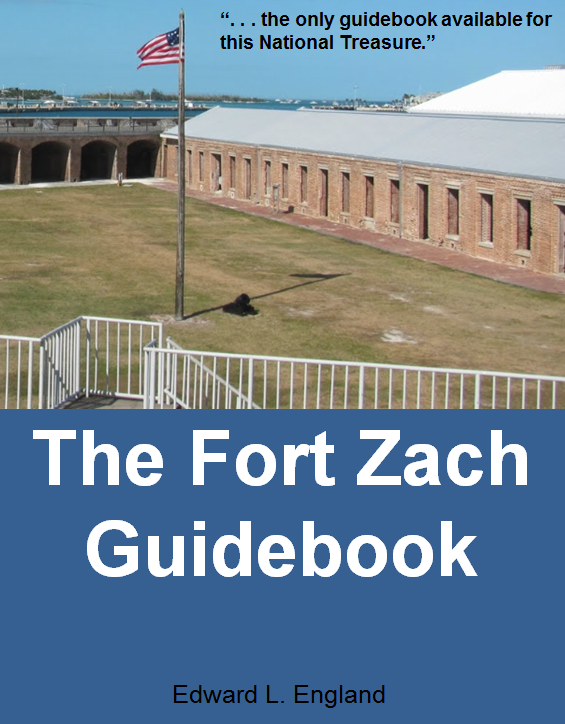 It is titled, The Fort Zach Guidebook and will be available in early January. But even many “locals” don’t realize all that lies beyond the entrance to the State Park. They think of it as only a nice place to ride their bikes, go for a swim, or catch a few rays . . . but it is so much more. Where the best beach is in Key West? Where can you see reef fish without hiring a guide boat? Where can you get the best hot dog and French fries on the island? Who those guys are running around in dark blue wool coats in the hottest weather? What happened to all the guns at Fort Taylor? What happened to the Fort’s third story? Who was the Sherlock Holmes of Fort Taylor? Those and many other questions are answered in this first-ever Guidebook to the many hidden beauties and treasures of Fort Zachary Taylor Historic State Park – including the Civil War Fort from which it derives its name. The Guidebook will retail at $12.99 and will be available on AMAZON.com in early January! 7/1/16 – Welcome to the newly hosted and expanded web site for England Historical Enterprises. We recently moved from GoDaddy’s Web Builder platform to WordPress and expanded our site. We added a Blog as well as a Contact Form for email feedback and questions. We hope that this new web site will serve our customers and interested parties better than our former site. The new and improved site includes links to AMAZON ® for our three books and links to eBay ® for our prints and postcards. Using your mouse to click on the CLICK HERE links takes you directly to the listings on these sites where you can order our merchandize. In all cases, England Historical Enterprises stocks and ships ordered items. In the future we plan to add direct purchase links to the web site via PayPal ® for all of our merchandize. We are proud supporters of Fort Zachary Taylor Historic State Park in Key West and the legacy of its first Curator and Park Ranger, Howard S. England.